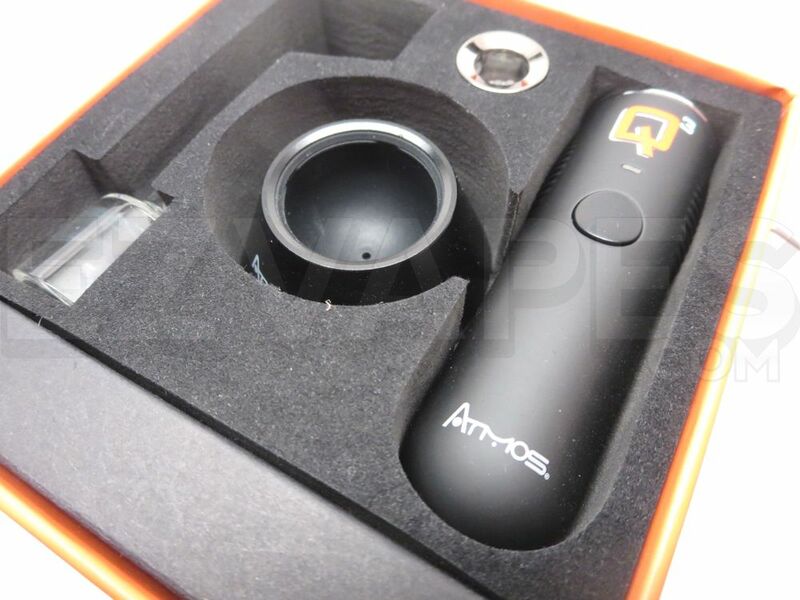 The Atmos Q3 Vaporizer is a powerful triple quartz coil with hands-free timed activation. 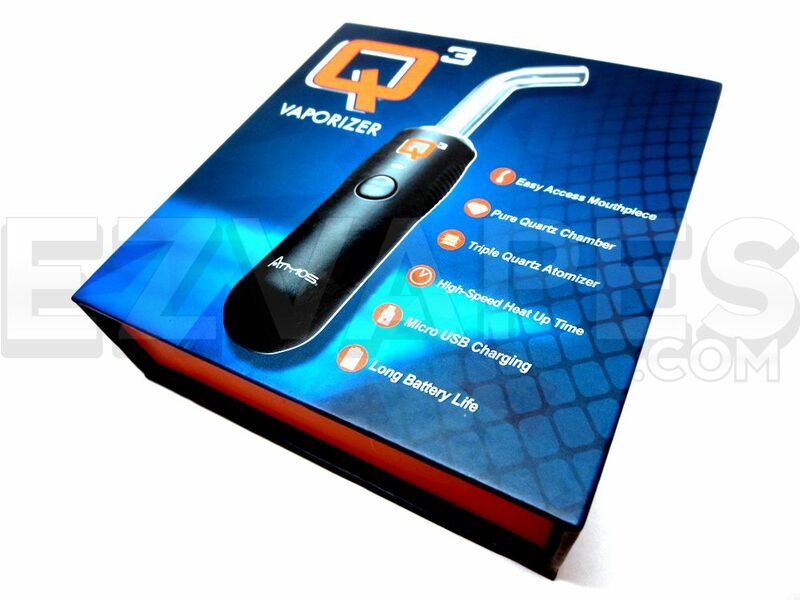 The Q3 is a portable vaporizer designed exclusively for use with waxy materials, and offers the utmost of convenience for vaping concentrates on the go. AtmosRX implements a pure triple quartz atomizer (thus the clever name) with this vaporizer that delivers a rich and potent quality of vapor with just a push of a button. Pure glass quartz offers a level of efficiency that can be compared to other materials like ceramic or stainless while the quality of flavor produced from this type of material is simply unmatched. 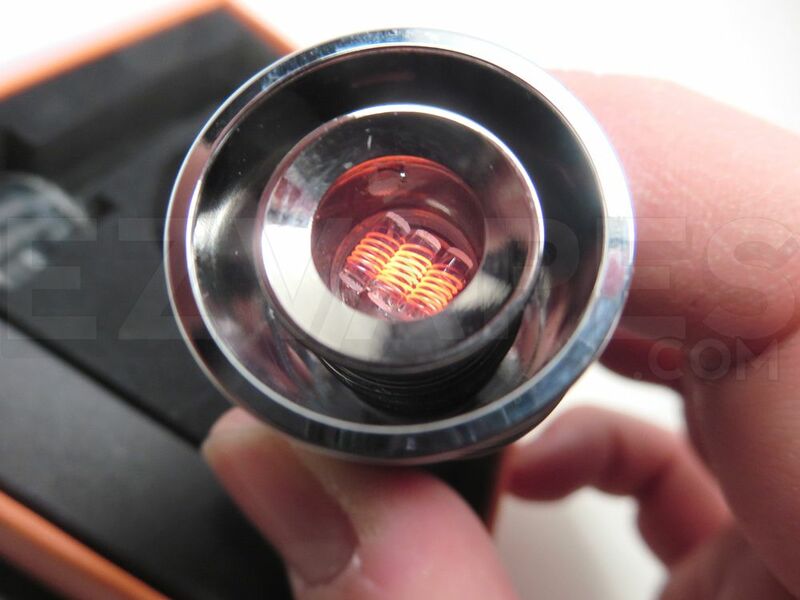 The triple glass quartz heating element can be easily removed and interchanged with replacement atomizers sold by AtmosRX, saving you quite a bit of money in the long run as you can simply replace one minor part of the vape rather than investing in an entirely new one. 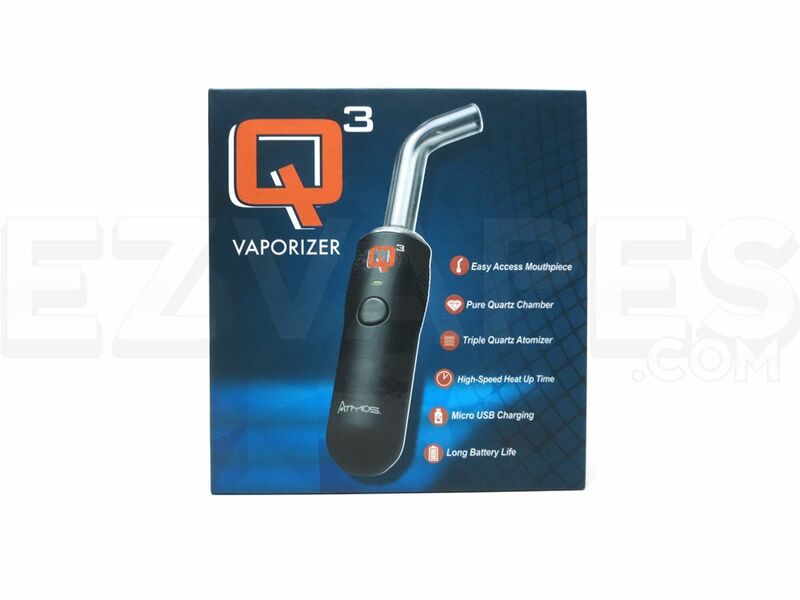 The Q3 Vaporizer from AtmosRX features a compact body that is encased in a scratch-resistant rubberized finish for extreme durability, perfect for those who are always on the move. Within the Q3's durable body is an 1100mAh lithium-ion battery that can easily provide several cycles before eventually needing a recharge. This long-lasting power source can be conveniently recharged using the included micro-usb charging cable, ensuring you are always able to charge no matter where you may be. 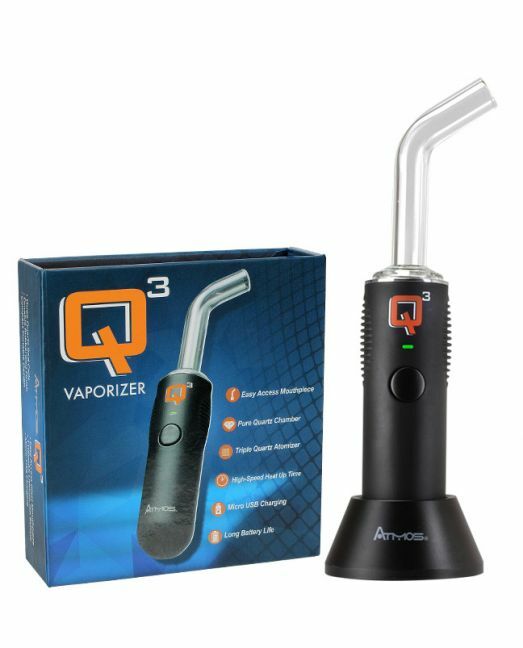 This vaporizer also features an easy access angled glass mouthpiece that can be quickly attached or detached for quick refills. 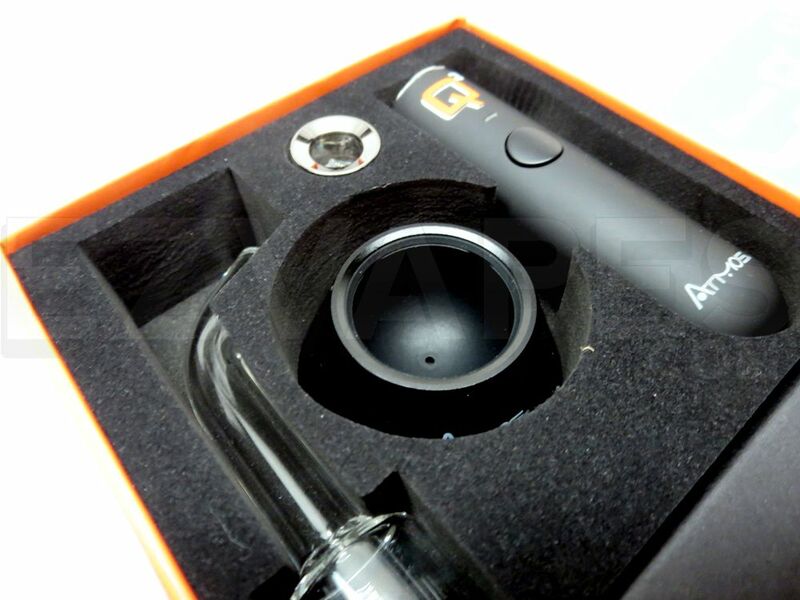 AtmosRX also offers a percolator attachment (sold separately) that can replace the included easy access mouthpiece for those who prefer to vape with water filtration for an even cleaner quality of vapor.